Is a branding guide really necessary? Well, marketers talk about branding all the time: how it can generate excitement, how it makes promotion easier, how it builds loyalty – it’s important. But whether you’re working on rebranding your business or you’re just starting to build a marketing plan, it only does so much good to hear about how great branding is – if you don’t know how to start. So if you need a real, actionable guide to creating brand standards, you’ve found it. 1. It guides your overall marketing strategy to help you achieve your goals. A branding guide that works starts with your overall business strategy. The first step to creating brand standards is to look at the big picture and determine your overall business needs and goals. You should determine what you are trying to achieve, and your branding guide should work to support those goals. Marketers who say branding isn’t important don’t see the whole picture. They believe that the creation of a brand is explicitly intentional – it’s not. Your brand is the personality of your business, and every business has one, even if they’re not trying. Branding is shaped by everything your business does. How you treat your customers is part of your brand. Your mission statement and company values are part of your brand. Everything about your business that your customers interact with is part of your brand. Every aspect of your brand standards should be there for a strategic purpose. Choosing not to address an aspect of your business from a branding standpoint means that you don’t have control over your customers’ perception of that part of your business, and that’s a missed opportunity. But successfully implementing any business strategy depends on everyone involved understanding it – and working together towards execution. “Every year we create a strategy map to help distill our business strategy into a simple format that can be easily communicated, consumed and ultimately executed. We identify a single common goal each year, which keeps us on track and continually moving closer to it,” so share the marketers at Four Winds Interactive. Everyone should understand the goal and how to achieve it ­­– which is much easier when it’s all laid out in a guide. A clear branding guideline makes it easy to scale your marketing. It’s a clear, defined standard for everyone on your marketing team to reference any time they have questions, and it can answer questions that they might not even know they have – saving time and money that goes into approving and reviewing work. No more sending drafted copy back to a writer because they didn’t know the preferred standard for writing the time of day – is it 3 o’clock in the afternoon or 3:00 p.m. or 3PM – and an end to the days of graphic designers revising ads because the stock photo they chose contains people when it shouldn’t. You can stop overloading content creators with work because they’re the only ones who are familiar with your nebulous branding standards. A branding guide makes it possible for anyone you hire on to immediately understand exactly what is expected. 3. It’s good for customers. People don’t like change, and your customers are no different. When your branding is inconsistent, confusing, or just downright ugly, it hurts you. Your audience can become so preoccupied with inconsistent branding that they might walk away before you can even tell them what you’re selling. Think about it this way: would you be OK with your product being displayed in a messy, unprofessional storefront? Your customers shouldn’t need to consciously examine elements of your brand. They might notice something that they enjoy about your branding, like the way your logo looks or the color you chose for the banner on your homepage, but your brand shouldn’t be distracting – it should complement and support your product. No matter what your standards are, a clean and consistent user experience with your brand should be the goal. In many ways, a brand is like a person. Just like showing up in sweatpants to a job interview influences whether or not you’ll get hired, how your brand looks is probably the biggest element that shapes initial customer perception of your business. If your brand is showing up in sweatpants, you can bet customers aren’t hiring your company to solve their problems and meet their needs. Color shapes brand personality in a big way. While the feelings and emotions triggered in a given individual by a color depends on personal experiences and associations, cultural trends and norms regarding certain colors do impact color symbolism. Heed your customers’ expectations when choosing colors for your brand, but don’t be afraid to use color to swing your brand in a certain direction. 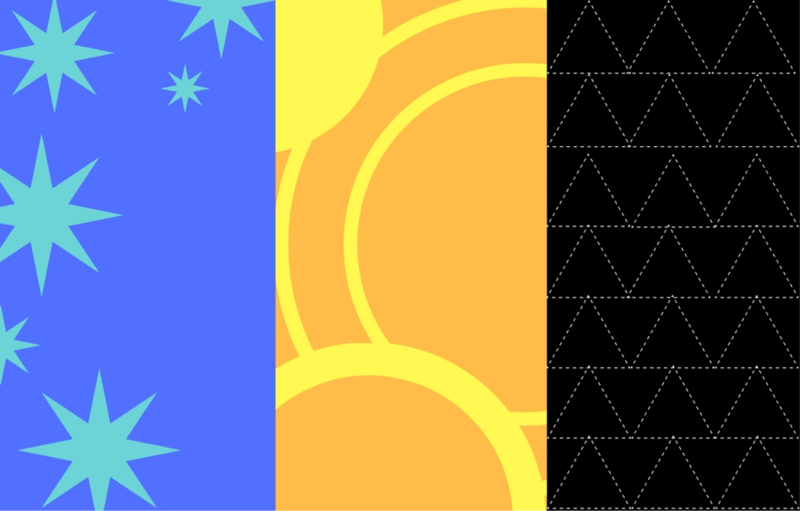 All of these colors and shapes bring to mind very different themes and ideas. How would it influence your perception of a dental office if they used any of these designs for their advertisements or website? Is the first one appropriate for a children’s dentist? How about the last one? Color choices should never come down to personal preference or merely what “looks good.” It’s essential to be intentional when choosing the colors that represent your brand. Look to your target audience and average customer to guide your decisions. The photos you use also influence consumer perceptions. Give clear instructions on how photos should be used, and what kinds of photos are appropriate. Avoid using obvious stock images, and overly edited or low-quality photos, which can degrade brand value. Fonts are also an important part of your visual branding. Think how these fonts and colors shape your perception of this law office. The first example implies a lot of vibrancy and fun – but that’s probably not what a client is looking for in a lawyer. The second one is friendly and playful, which likely isn’t appropriate either. The last one is professional, straightforward, and down-to-business: just right. You’ll likely need to choose several different fonts for different applications. The font you use for your headers won’t work for fonts used for body text. Decide which typeface should be used in which application, and give clear usage instructions in your guide. If you already have a logo, it’s a good idea to theme some of your visual branding elements around it, since your logo is the visual element of your brand that your customers likely encounter most, and most closely associate with being representative of your brand. It’s also important to keep in mind that your logo shouldn’t be exempt from revision if it’s not working for you. Visual branding should be carried through to all visual aspects of your business: your packaging, your storefronts, and your website. Consistency is the key to successful visual branding. Once you’ve decided on your visual guidelines, stick to them. A writing guideline should address two elements of written content: style and voice. 1. Style is all about technicalities. Do you spell out dates, or are they displayed as numbers? Do you use bullet points or numbered lists? Do you like indentations at the beginning of paragraphs or block style? 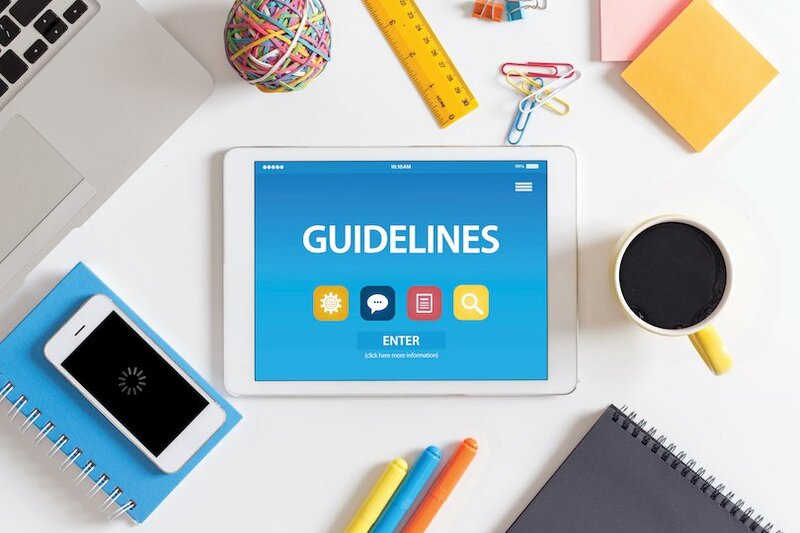 You can look to existing style guides, like the Associated Press Stylebook, to give you a starting point, but it’s likely that you’ll run into areas where what works best for your brand isn’t the same as the AP rules, and that’s OK! Don’t worry too much about being completely comprehensive from the start. Even if your guide seems comprehensive you’re bound to run into unaddressed style questions at some point. However, when you do run into those questions, answer them, then put the answer in the guide for next time. 2. Voice is all about personality. Brand voice is what it sounds like when your brand speaks to your customers. Is your brand friendly and warm? Maybe it’s informative and straightforward. Maybe it’s blunt and sassy. Your brand already has a voice, even if you’re not thinking about what it sounds like to your customers. If you’re not consciously controlling the tone of your messaging, you’re missing an opportunity. Recognizing that the tone of all of your written communications with your customer impacts their impression of your brand gives you control over that impression. Think back to your target customer. Who relates to them? Who do they like to speak to? Who is your brand to them? If you’re an accounting firm, you probably don’t want to come off as carefree. If you’re a stuffed animal shop, you probably don’t want your messages to be serious and reserved. Decide what works right for your business, and set clear expectations for the tone of your marketing messages. Basically, where are customers online and what are they doing? Just like the people and places that an individual associates with can give us some insight into their personality, the same can be said of a business. While your target audience should determine where you’re most present online, the social media sites your business is on and how you use those sites also inform customer perception of your brand. For example, would you expect a brand like Budweiser to have a super active Pinterest board? If they did, how would that shape your ideas about the company and who they’re trying to sell their products to? In the past, it was common for companies to jump on every new social media site. Novelty and a lack of clearly defined users drove businesses to extend their presence to every social media channel that they could. Now that we have clearer data about who uses which social networks, it becomes easier to determine where it’s best to invest your time and energy developing a presence. Go back to your strategy, and look at your average customer. Where are they on social media, and how are they using those sites? 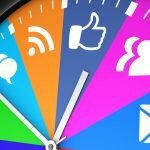 A little bit of research into this can help you structure a social media strategy that’s purposeful – not just speculative. Building a branding guide takes a lot of time, research, and collaboration. It’s not something that can be built overnight, and it requires a willingness to look at your business as it currently stands with a critical eye. However, the sooner you decide to create a brand guide and the newer your business, the easier it will be to implement. If you’re feeling lost or want some guidance, it doesn’t hurt to look at what your competitors are doing. Both their successes and missteps can inform your decisions for your own brand. Start with your strategy and determine your goals for your business. After you have some clear objectives in mind and your target audience at the very front of it, use your strategy to direct your standards for your visual branding and your messaging. You make your brand work for you – what it does is up to you to determine. Is your brand image where you want it? There’s no time like the present to make your first move! Victoria is a writer who loves consumer psychology, market research, and branding. She helps companies control their brand through purposeful, strategy driven content. When not writing, she’s running, drinking coffee, or cooking. 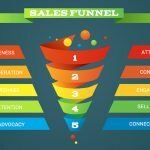 « The Sales Funnel is a Vital Marketing Tool, and Success Means Mastery Over Mystery!